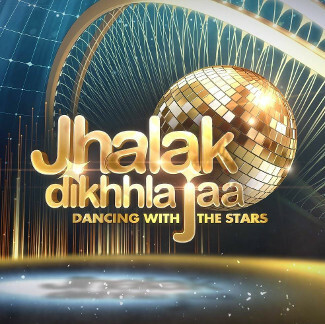 Once again it is that time of the year when Sony TV brings to its audiences the most popular ‘Jhalak Dikhhla Jaa’ which is a dance reality show, wherein only celebrities can participate and display their intricate dancing skills along with a professional choreographer. The show began its 1st season in the year 2006 and now viewers are desperately awaiting the 8th Season which will be launched soon. There are rumors that the makers have already listed few contestants which will be finalized soon. Since it is a purely celebrity based show the registration, auditions etc are done online.Basic requirement for this show is immense passion for dance from the celebrity participants and the choreographic skills from the choreographer. For the last seasons Karan Johar, Madhuri Dixit Nene and Remo D’Souza trio have been judging the performances. However, it seems makers of the show are going to revamp the entire panel of judges for the Season 8. Shilpa Shetty is in the limelight and there are news that she has been offered an enormous amount of 14 crores to be a part of the panel for this season. Remo D’Souza seems to have chosen to be on the panel of Judges for some other rival show and Karan Johar is busy with his schedule so for now who all will be the new faces with Shilpa Shetty to judge the performances is quite a secret. Another question is …will Madhuri be still there or will she quit the show! Right from fifth season, Manish Paul has been hosting the “Jhalak Dikhhla Jaa” show and seems to be one major reason for high TRP of this reality show. It seems Manish Paul would host the Season 8 as well because rumors suggest that the makers have offered him a huge amount to be the host. The latest reports also mention that RJ Pritam has been signed to co-host Jhalak Dikhhla Jaa Season 8. For now there are no news regarding when the Season 8 will commence; however there are rumors that it should begin by end of June 2015 and would get over by end of this year.